Qui a dit que Paris ne faisait plus rêver? Direction le Brésil pour vous prouver le contraire! Carol nous présente son compte Instagram 30 jours à Paris inspiré du séjour passé dans la ville Lumière. En quelques semaines, son expérience a attiré de plus en plus de followers ce qui l’a motivé à créer par la suite un site dédié! Et ajouter à ça beaucoup d’amour aussi : pour l’anecdote c’est à Paris lors de sa première visite que le mari de Carol la demande en mariage! Deux grandes villes assez similaires d’après Carol. « Après avoir observé les habitants de cette ville, je pense que les parisiens et les paulistas ( les habitants de São Paulo) ont de fortes personnalités et leur rythme de vie est similaires : de l’extérieur on pense que c’est métro boulot dodo mais en vérité, les parisiens sont autant accueillants et ouverts d’esprit que les paulistas, il faut juste passer un peu de temps avec eux. J’ai adoré me perdre lors de mes promenades et découvrir de nouveaux lieux et les admirer. Que ce soit un joli jardin caché ou les belles architectures des bâtiments. Mais ce qui me manque surtout c’est l’atmosphère unique et inexplicable qu’on ne peut retrouver qu’à Paris. Her name is Maria Carolina Pio Pedro, she is 32 and was born and raised in São Paulo, Brazil. 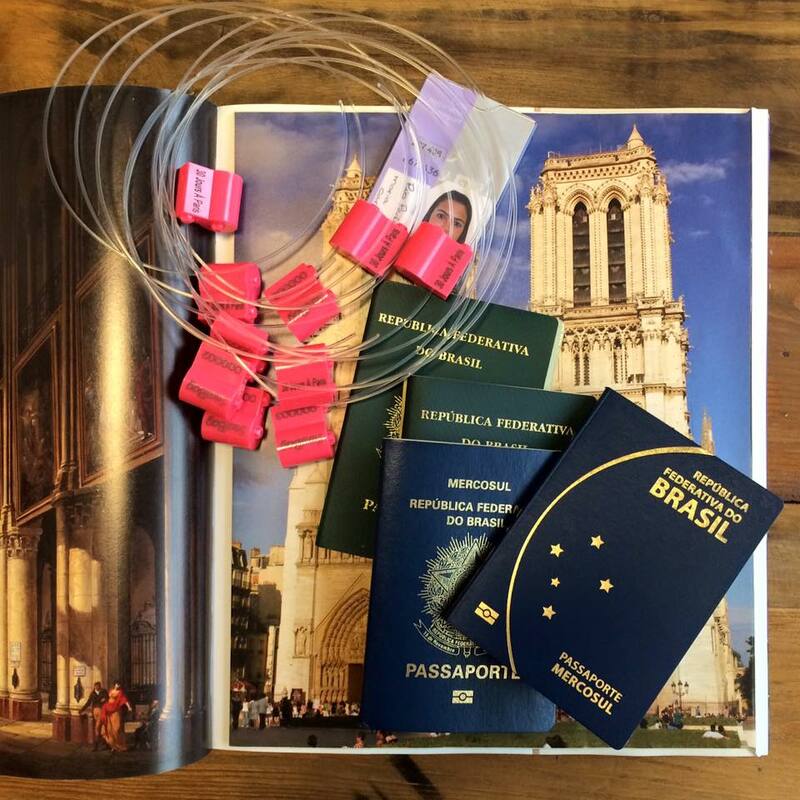 In 2015, she created the « 30 Jours à Paris » ( 30 Days in Paris) account on Instagram and her followers are increasing. During this interview between Paris and Sao Paulo, Carolina shared her perspective on Paris and the reason why she wants to say « Paris, Je t’aime » on Instagram! Why did you choose to come to Paris and why 30 days? I studied my entire life in a French-Brazilian School at Lycée Pasteur, where all classes were given in Portuguese, but we had French lessons everyday for more than 10 years. Although after I gratuad from school in 2000, I wasn’t fluent but still felt very attached to French culture because of my background. It took me couple of years to visit France for the first time. After college, I lived in USA for 3 years and at that time and I didn’t plan to go to Europe yet. So, in 2011 I finally visited Paris for the first time with my boyfriend and it was such a special trip. The beautiful places we’ve visited, the amazing food we’ve had, the kind people we’ve met… It all exceeded my expectations! And on top of everything, my boyfriend proposed! It was just a perfect trip! So that’s why Paris is so special to me! We married in 2012, I have traveled to Europe many times since then, but not to Paris. I was missing it city very much! After that my first amazing experience, I decided to come to Paris in 2015 to study French. 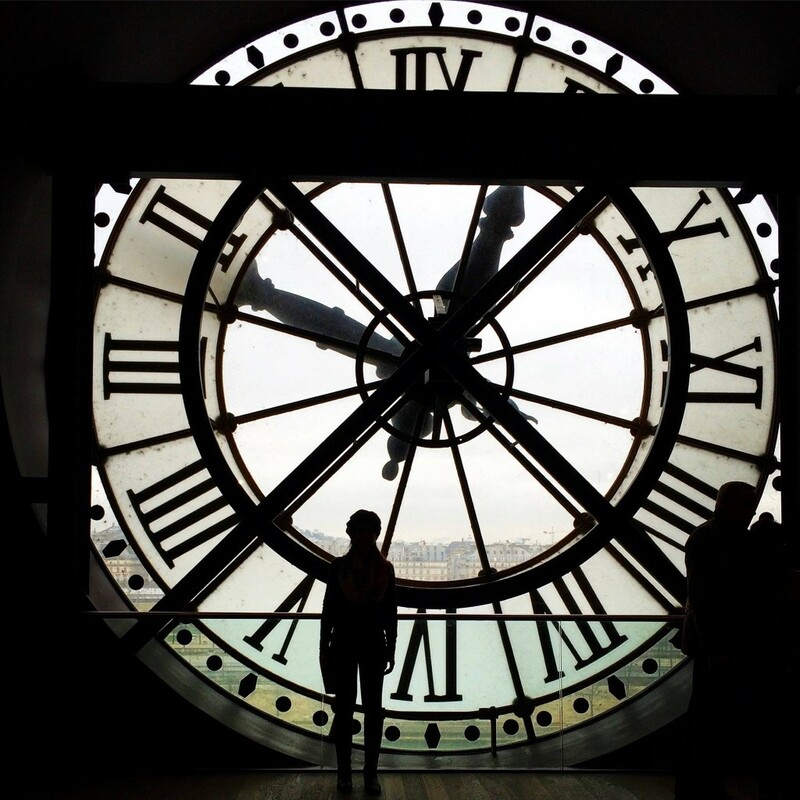 It would be the best opportunity to practice the language and experience the parisian lifestyle for 30 days in a roll. I rented a studio in Montparnasse and took daily French lessons at school. I had a blast! It was an unique experience and again my expectations exceeded! Paris will always surprise me. On your Instagram account, you are sharing at same time a personal vision of Paris but also a very captivating perspective to any person who would like to discover the city – how did you manage to create a community? I love Instagram, I became a fan of photography because of this app. 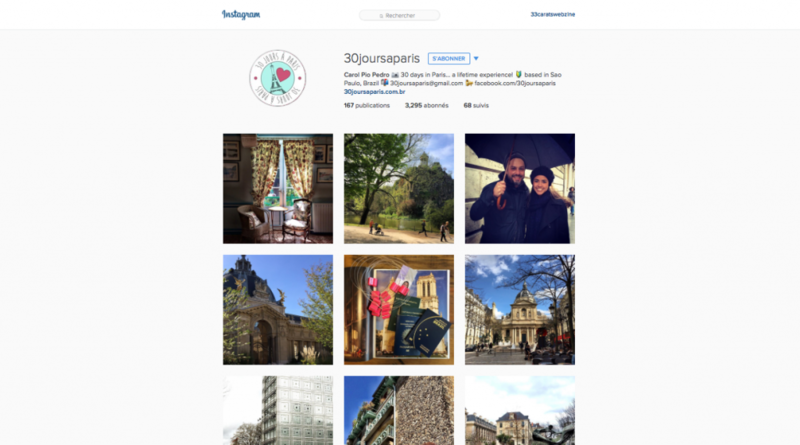 So I created the « 30 Jours à Paris » account to share my perspective of the the city to my husband, friends and family. In that way they would stay closer to me during that time. A few days after I started my account more people started to like my posts and commented about places to visit, to eat… By the time my 30 days were finished, I had already met many people from all over the world who shared precious tips, suggestions and doubts. I believe that what connects people is their common interests and since we have Paris as the main topic, the conversation flows easily and I have never had an awkward situation. Paris vs Sao Paulo: When travelling to Brazil, similarities can be found between Paris and Sao Paulo. Did you find common points between those 2 cities or if not why? I think that Parisians and Paulistas have strong personalities.They are both go-getters and are too busy working hard, and sometime we don’t seem to care about others. It may give the wrong impression, but it all changes when you get to know them! There are many differences between both cities, but the main to my opinion is in Paris public spaces are better used, because they are well organized, safe and people have a better community spirit. Because of that, I feel you are ahead of us. I miss walking on the parisian streets at anytime without fear, getting lost and finding beautiful places, from a hidden little garden to a fabulous building. Above all I miss this unique and inexplicable atmosphere that only Paris has to offer.